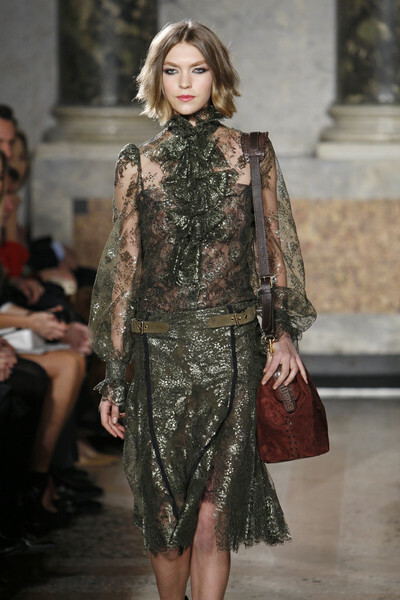 There’s more lace to come from Milan! We spotted it in New York and London and got it confirmed now in Milan. 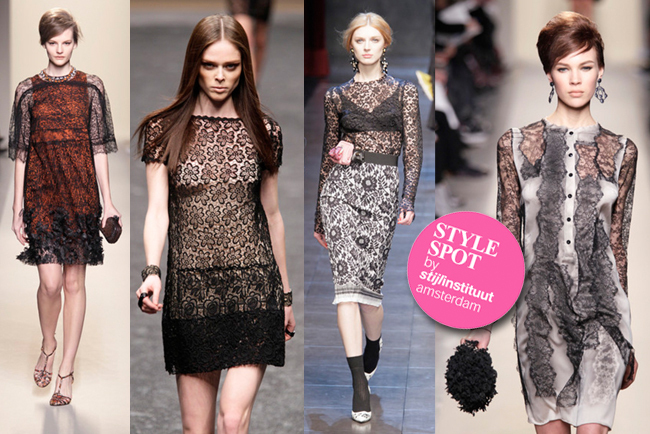 Lace is a red thread linking collections, looks and styles.From cobwebby, embroidered, chunky to featherweight. Plasticized, coated, printed and sequined. From antique to high tech and modernistic. In Milan, it was most of all used the authentic way. Pretty and lady like, refined Chantilly lace.